At last, I got out on a roadtrip the weekend before last. I went on Sunday (the 6th). I prefer going out on Saturdays normally, as that gives me Sunday to start sorting through photos. However, that Saturday the weather was crappy, so there you go. I left about 6 in the AM, to get a good headstart. It was 36 degrees when I left around dawn. Cold for Florida, but I like it that way. It just invigorates me. The first hour or so of the trip was in the car anyway, so I stayed quite toasty. 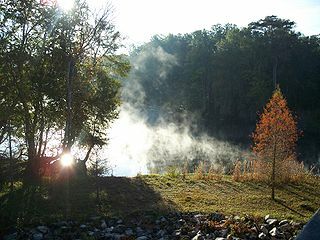 I got to the first stop in my jaunt, High Springs, around 8 AM. Took some odds and ends photos around town, then headed north. I wasn’t intending on stopping at the bridge over the Santa Fe River, but I like taking river photos. As it was, I got some nice shots, including the first one above, which turned out way better than I thought. Then it was off north, crossing old Bellamy Road, to O’Leno State Park, the site of my first SCA event back in ’78. What little I remember, the park hasn’t changed much. I walked along the Santa Fe River to where it goes underground. I planned to walk to where it comes up again, in River Rise Preserve State Park, but that’s 3 miles. Would have taken way too much time and might’ve worn me out some. So that’ll have to be another trip. Whilst there, the sky started getting dingy. It was on and off like that the rest of the day. Went to Fort White to get some better pictures of a couple of places I’d visited previously, the Sikes House and Fort White Public School, both on the National Register of Historic Places. 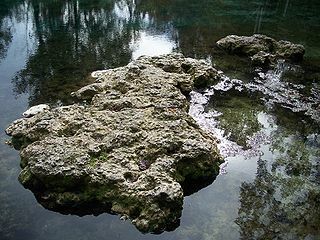 After that, I started “springs hopping” and hit Ichetucknee Springs State Park, the north entrance. It was weird, there being no one there. But the tubing down the river stops in the winter. Part of my plan, actually, so I could get shots of the springs unobstructed. And the stepping stones therein, as the second picture shows. I then went to the south entrance. I was most peeved, since there was no ranger at either entrance, so I couldn’t get my park passport stamped, grrr. Now I was on US 27, near which I’d be staying the next few hours. I stopped in Branford and got shots of the Suwannee River, which I wound up crossing in a few spots along the way. Then I went of US 27 a bit to hit Troy Springs State Park. Nice park, and there were people diving! It was still chilly, so better them than me. Next was Mayo, and I got 3 buildings. 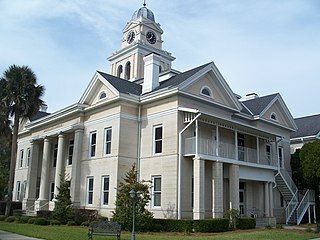 Those being the current Lafayette County Courthouse (the third picture), the Old Lafayette County Courthouse, and the House of the Seven Gables (the Florida version). Went up SR 51 and crossed the Hal W. Adams Bridge, then got to Peacock Springs State Park. More divers! Also, the narrowest, ruttiest, twistiest road in any state park I’ve ever seen. Potholes were huge. The springs were neat, though. Back down to US 27. Almost forgot Lafayette Blue Springs State Park. Maybe I shoulda, since they were doing a bunch of construction, and there was no ranger, so there’s another stamp to re-try getting. After that was the long stretch. It’s nearly an hour’s drive to the next town, Perry, with not much of anything between. Got shots of the two NRHP sites in the town (and the county, for that matter), the Old Perry Post Office and the Old Taylor County Jail. 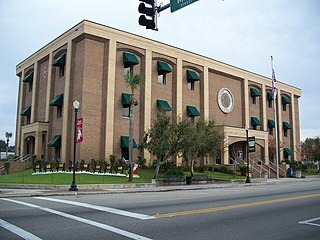 Also took photos of the Taylor County Courthouse, the last one above being an example. It’s not “historic”, per se, since it was built around the 1970s. I like it a lot though, it’s nicer looking than most modern courthouses. Perry was the turnaround point, where I started heading southward towards home. First I stopped at the Forest Capital Museum State Park. Nice little place, and nice ranger. By now it was 4:30-ish, and I knew I wouldn’t get home until well after sundown. Another stretch of even more nothing is what US 19/98 is like going away from Perry, and it’s nearly another hour until you reach the next town, Cross City. Stopped at a Hardee’s there. I miss Hardee’s, there aren’t any in Gainesville or Ocala. I usually try hitting a Hardee’s for breakfast on my roadtrips, as they usually tide me over for quite a while. I was starving, though, as I hadn’t eaten all day. Crazy, huh? Still, worth the wait. The Portobello Mushroom burger, yum! I found the county courthouse and got some shots of that. It looks like a big warehouse. One of the least courthouse-ey looking courthouses I ever did see. It was just about sunset, so that was the last thing of which I could get pictures. But I was in pretty familiar territory by that point. Chiefland, Williston, and then home around 8 PM. Yes, I can take that many pictures in a day. Why I love my digital camera, ’cause I don’t have to worry about wasting film. And I’d say about half the pictures I take turn out decent enough to save, so I’m doing good.